Thousands of families with disabled children have lost out on up to £4,400 a year in tax credits after an administrative blunder by the authorities. The error in processing their claims meant an estimated 28,000 families whose children qualified for disability living allowance (DLA) during 2011-14 missed out on an additional tax credit premium of between £60 and £84 a week. The government revealed in the autumn statement this week it has set aside £360m over six years to ensure these families receive child disability tax credits in future. However, the payments will be backdated only to April, meaning individual families may have lost out on entitlements totalling up to £20,000 over the past five years. The non-payment of the tax credit premiums appears to have been a result of the Department for Work and Pensions (DWP) failing to inform HMRC about families’ eligibility for the award over a three-year period. The charity Contact a Family called for a compensation fund to be set up to help the families, saying it was not their fault that they lost out on what collectively amounted to tens of millions of pounds in entitlements. “One thing is certain: this isn’t the fault of families. When you tick a box on a government form indicating you are in receipt of tax credits you reasonably expect it’s there for a reason – and there’s a process in place that allows government departments to share this information,” said the charity’s head of policy and public affairs, Una Summerson. Families who are responsible for a disabled child or young person are eligible for a higher rate of child tax credit if the child is in receipt of a disability benefit such as disability living allowance (DLA) or personal independence payment (Pip). Although it is technically the responsibility of the claimant to inform HMRC directly that they receive DLA or Pip for their child, in practice the tax authorities have endeavoured to update the claim automatically using information supplied by the DWP. When a family applies to the DWP for a disability benefit on behalf of their child, the form asks whether they are in receipt of tax credits. If they state that they are, and the application is approved, the DWP would normally pass the information directly to HMRC. HMRC regards the data-share as an “extra safeguard” to ensure that the extra child disability amounts are paid even when claimants have not directly notified them they were in receipt of the benefit. However, between 2011-2014 a processing error described officially as “a gap in the data feed between DWP and HMRC” meant awards were not automatically updated. 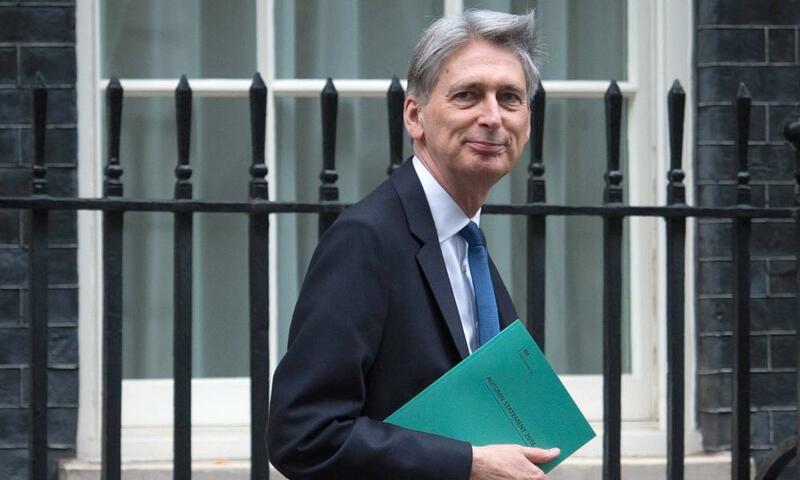 Despite the large sums of money involved, the tax credits correction was referred to without explanation in the main Treasury autumn statement report, with only sketchy details of the error buried in a supporting document on policy costings. Robin Williamson, technical director of the pressure group Low Incomes Tax Reform Group, said: “The amounts payable for disabled and severely disabled children within child tax credit are significant and it is concerning that such a large number of people have missed out on claiming these payments potentially for a number of years. “It is important that HMRC work closely with DWP to ensure that the data feed works in future so this situation does not happen again. “Although the claimant has a legal obligation to report changes to their circumstances, we often encounter claimants who quite reasonably assume that this kind of information is shared within and between government departments. This is certainly happening more frequently and means there is a confusing landscape for claimants and a mismatch between the legal framework and the operational practice,” he said. The error occurred during a period of intense upheaval at the DWP when the then work and pensions secretary, Iain Duncan Smith, was pushing through over 30 separate reforms including universal credit while at the same time cutting the department’s administrative budget by 18% and reducing staffing by nearly a quarter. A National Audit Office report, published in 2015, was critical of some aspects of the DWP’s handling of what the department described as the “most fundamental change to the social security system in 60 years”. The report noted that: “Recent reforms have stretched the department’s ability to manage programmes”.